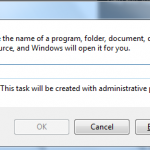 Are you wondering if it is possible to create a drop down list in Microsoft Excel? The answer is yes. 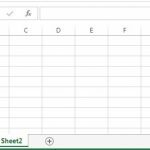 Drop-down lists in Excel are helpful if you want to be sure that users select an item on the list, instead of typing their own values. 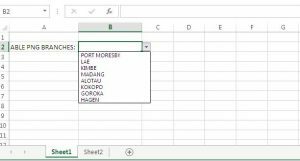 Here are the steps how to create a drop down list in Excel. 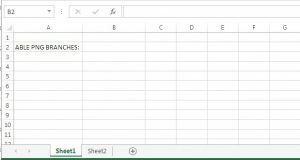 First step, Open Microsoft Excel, on the second sheet enter the items you want to appear on the drop-down list. See example below. Second step. 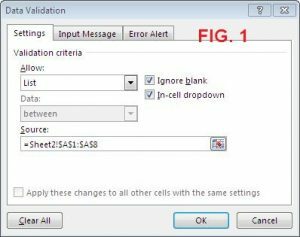 On the first sheet, select cell B2. This is where we going to create the drop-down list. Third step. 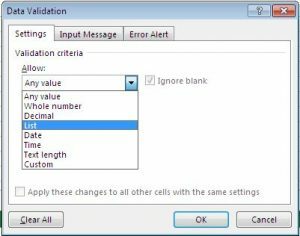 On the Data Tab>Data Tools Group, Click Data Validation. 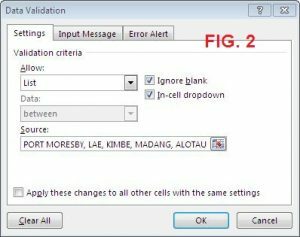 Fourth, the Data Validation dialog box will appear. In the Allow box, select List. Fifth step, Click the source box and select the range A1 to A8 from Sheet2 (FIG. 1). Note that you also can type the items directly into the Source box, instead of using a range reference (FIG. 2).